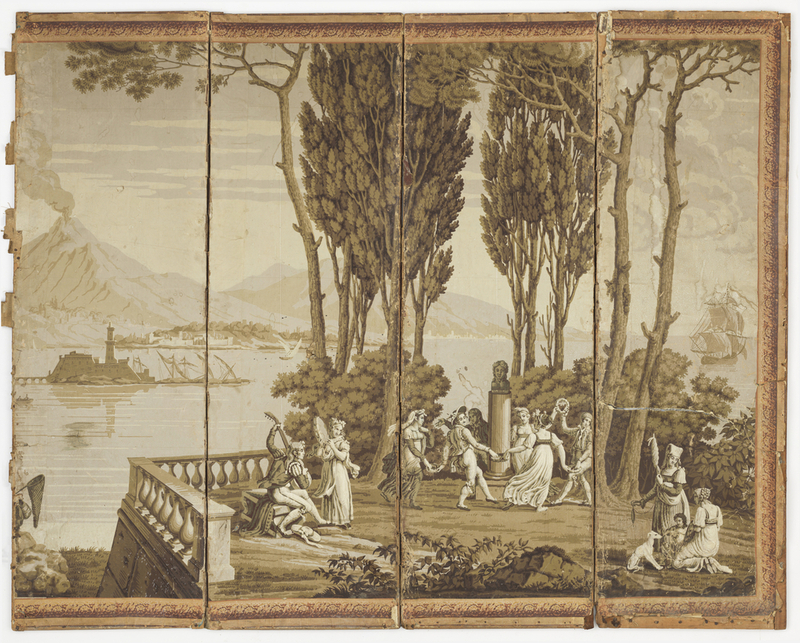 This is a Folding Screen. It was made by Joseph Dufour et Cie.. It is dated 1822 and we acquired it in 1999. Its medium is block printed on handmade paper, wood frame. It is a part of the Wallcoverings department. This object was purchased from Christie's. It is credited Museum purchase from Smithsonian Institution Collections Acquisition Program Fund.